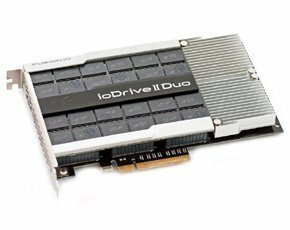 SanDisk has announced it has struck a deal to buy PCIe server flash pioneer Fusion-io for $1.1bn. The Fusion-io deal will give SanDisk a major boost in the PCIe flash space where it has until now had virtually no presence. The company has been on a minor spree of buy enterprise flash-related businesses to add to its hitherto largely consumer solid-state memory portfolio. It bought Smart Storage in 2013 for its DIMM slot-connected memory channel storage flash technology, Flashsoft flash caching software in 2012, and SAS-connected enterprise flash drive manufacturer Pliant in 2011. Although Fusion-io is a PCIe flash pioneer, the company has seen a number of loss-making quarters, so the good news for Fusion-io customers is that it is being absorbed by a healthy parent company. Sandisk turned over about $6bn last year and made $1bn on that. With this purchase SanDisk looks to be adding further to its stated strategy of entering the datacentre flash market, which offers better margins than the consumer SSD market. the ION Accelerator PCIe-based storage appliance. The acquisition is the latest in a hot flash storage market that is seeing flash startups being acquired, usually by big six storage array providers or the few big flash chip makers.